Finding the best tennis racquets on the market can be difficult – after all, there’s so much choice! In this guide, we’ll outline what you need to consider when buying a tennis racquet, as well as our product picks to help you smash those aces. None available – simply of one the best products on the market. Strung or unstrung – what’s the difference? Essentially, strung or pre-strung racquets already have strings installed by the manufacturer. Once the equipment is delivered you’ll be up and running. On the other hand, with an unstrung racquet you’ll have to buy strings separately and string your racquet yourself. Typically, beginner and intermediate players use strung racquets, while advanced players buy unstrung racquets because they are more customizable – you can easily install specific string to get more power, precision, or spin on the ball. You’ll need a stringing machine to do this, though. Look out for the strung or unstrung tags by each product we review to tell which is which. Weight is a matter of personal preference when it comes to tennis racquets. Generally the more experienced you are the heavier racquet you’ll want, as heavier racquets can generate more power more easily. On the other hand, lighter racquets offer better control and are easier for beginners to use. Small racquets typically weigh around 8-8.5oz (227-240 grams) while a larger racquet would weigh over 10.5oz (300+ grams). Kids younger than 12 require a light youth tennis racquet in order to better develop their technique without being constrained by weight. In this article we’ll outline 3 of the best junior tennis racquets. Different racquets will have different weight distributions, including head-heavy and even, the latter being what most racquets (particularly beginner ones) use. 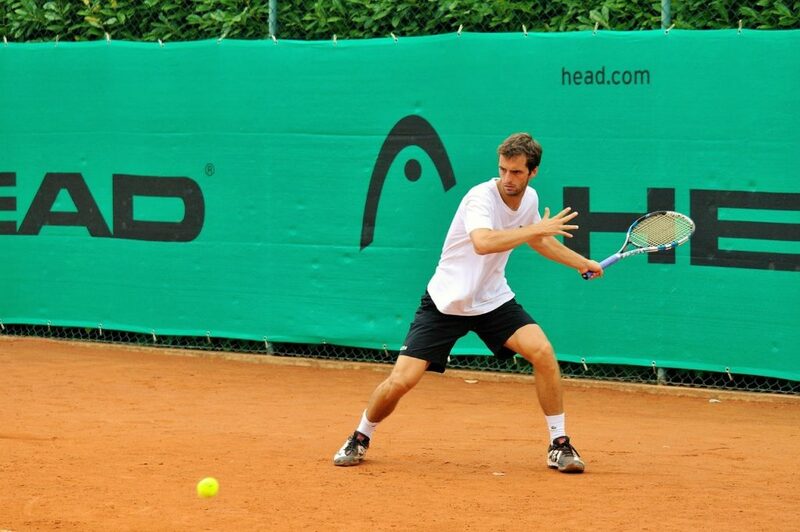 Head heavy racquets are used by beginner/intermediate players as they allow for power to be generated more easily. Even or head-light racquets are used by advanced players as they provide better control. 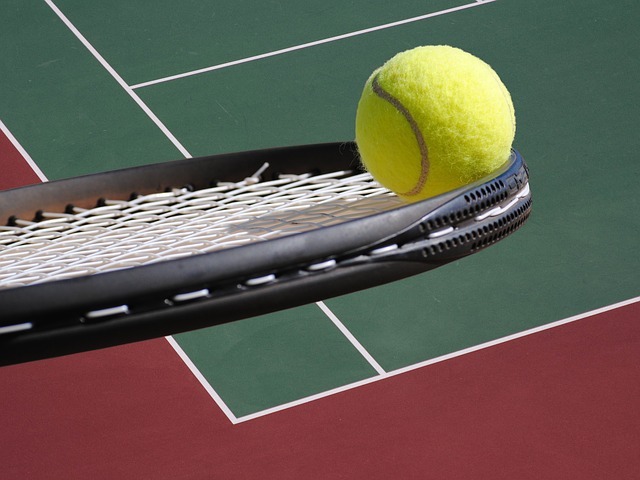 Tennis racquets come in different grip sizes, referring to the circumference of the tennis racquet handle. When buying you’ll have to select your grip size, which is measured in inches. 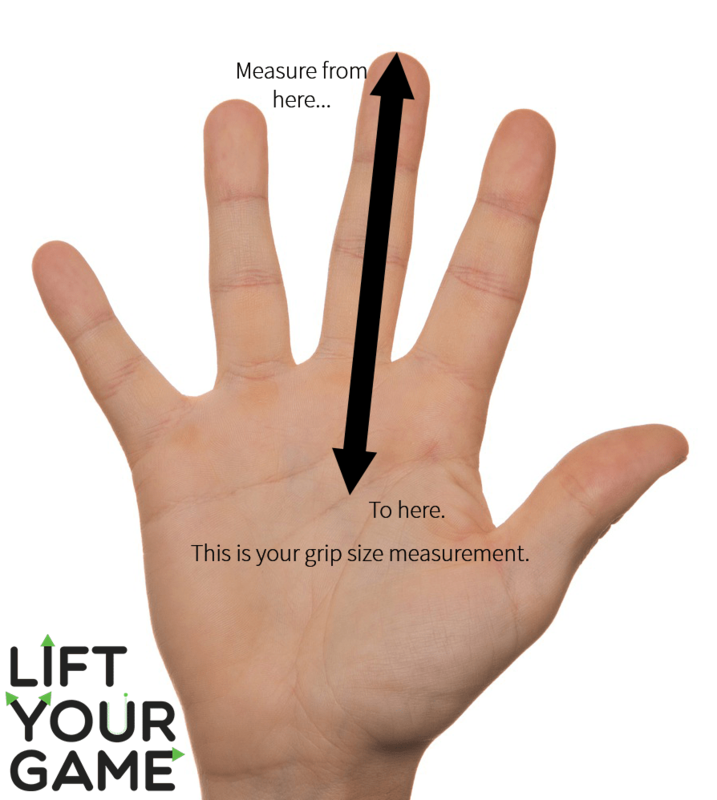 To find your grip size, grab a ruler and measure from the tip of your ring finger to the lowest horizontal crease on your palm. The corresponding distance is your grip size. Beginner and junior racquets will have a larger head size, which is the surface area of the racquet string measured in square inches or centimeters. This is because an “oversize” head makes it easier to make contact with the ball while also allowing for more powerful shots with less physical effort. Like with a trampoline, the more string on the head the greater the rebound. 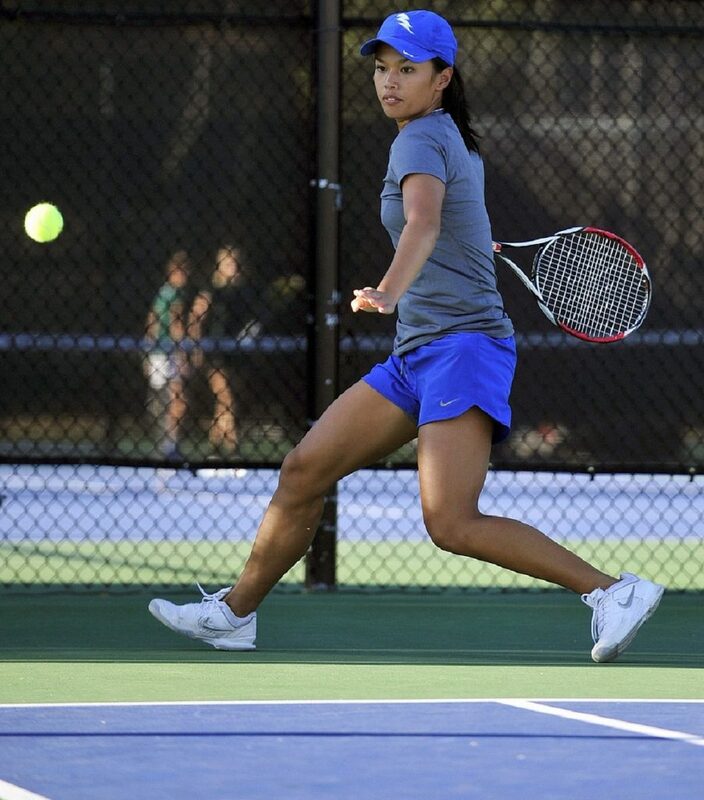 However, intermediate and advanced racquets typically have smaller head sizes, as they offer greater control over placement and spin when playing shots. A small head size would be 90 inches (228cm) and a larger “oversize” head size would be around 115 inches (292cm). Some frames are made up of a composite material such as graphene and carbon fiber. These materials will reduce weight, while other more traditional materials such as titanium will instead improve racquet durability. Like with weight, frame stiffness is a matter of personal preference. 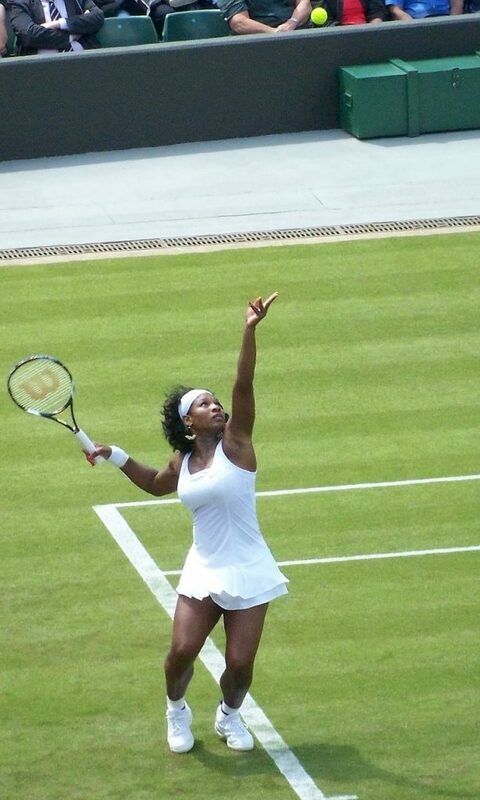 A stiff racquet will provide more power in general, however some players may find the stiffness uncomfortable. On the other hand, a less stiff frame will result in lower power but may offer more control over your shots as the ball stays on the strings for longer when a shot is made. Racquet length is also measured in inches. If you’re an adult, or buying for one, you’ll want a racquet of 27″ or just over. For junior players, consult the racquet length size chart below. 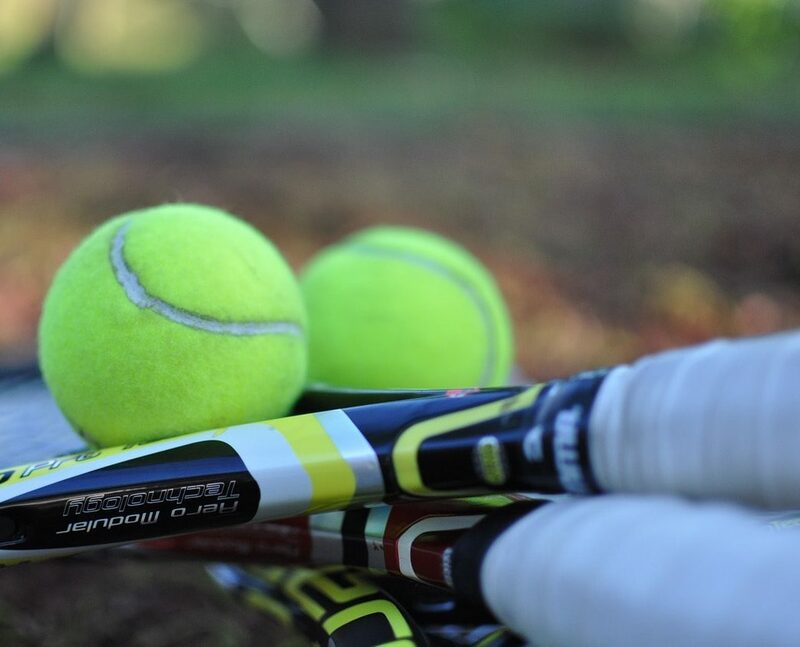 Big-name brands such as Wilson and Head manufacture some of the best tennis racquets available in terms of quality, but obviously you have to pay a price for the benefits of these racquets. More control over your shots (for example, placement and spin). Better build quality – more durable. Other features – an in-built computer chip to track performance for example. Obviously the racquet you go for should fit your needs in terms of your budget and performance on the court. Need more information? Check out our tennis bag buyer’s guide. Different racquets are better at improving different aspects of your shot. Some are designed for power, while others are better for more controlled shots. If you love to smash for the back of the court you’ll want something like the Babolat Pure Drive. However, if you’re a player who excels at dropping the ball deftly over the net you’ll want a racquet with more control, like the Wilson Hyper Hammer. First, we’ll review some really easy-to-handle racquets that are perfect for new tennis players. For the beginner player, finding a racquet with a good trade-off between ease-of-use and control can be difficult. However, the Wilson Tour Slam excels in this regard. Technology such as “stop shock pads” helps to reduce vibration – making your life easier when hitting the ball, while also keeping tennis elbow at bay. Wilson also includes their custom-designed “power strings” to improve the impact of your shots, the extra-large 112″/723cm head ensuring you pick up the majority of those balls that would hit the edge of a regular racquet. At the same time, the Tour Slam only weighs 10.3oz (291 grams), allowing newer or casual players to perfect their technique without being restricted by the size of the racquet. What’s more: the price is incredibly reasonable. Offers limited control over spin, meaning you’ll want to upgrade down the line if you’re looking to going to be advancing to serious play. Need a strong, sturdy racquet for regular play that’s also lightweight? Not a particular fan of flashy colors? This is the tennis racquet for you. Pre-strung so you’ll be smashing shots in no time, Champion Sports’ hitter features an oversized head and wide body construction to produce a racquet that’s more forgiving to mishits. It also has a cushioned leather grip to stop those pesky blisters. Very durable – made of titanium. No fancy technology to help you out. Wilson’s other awesome beginner option, the Energy XL, certainly lives up to its name. V-Matrix technology combined with the massive face area results in a racquet with monstrous power. Like some of the more expensive models we’ve discussed, this racquet has anti-vibration technology to ensure comfort while playing. Complementing this, “Airlite Alloy” material makes the racquet easy to maneuver, weighing in at 10.3oz/291 grams. However, we’ve left the best ’til last. The Energy XL is one of the cheapest tennis racquets on this list, while also feeling super durable. If you’re a beginner who doesn’t mind a light racquet, this is your best bet. Easy to maneuver – nice and light. Little choice available in regards to grip size. Now we’ll discuss 3 of the best tennis racquets you can buy as an intermediate tennis player. 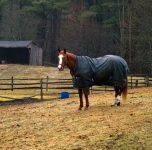 These options offer a quality hit, but are still very reasonably priced and relatively easy to use. The best tennis racquet for an intermediate player offers excellent power and control at a reasonable price, without being too difficult to set up – no unstrung racquets please! For this reason, the HEAD Ti.S6 is our choice in this category. You’ll notice that the grip on this racquet is a bit shorter than on its counterparts, allowing you to maintain better control over your shots (think of a table tennis bat) in a trade-off for slightly less power. The titanium-graphite frame means that the Ti.S6 weighs in at 8oz (226 grams) when unstrung, while the “fan” string pattern produces more power on your shot. The result? A light racquet for a reasonable price with excellent power – perfect for the intermediate player. Light frame ensuring easy control of shots. Short grip might not suit all players. Some racquets aim to please everyone: offering awesome all-round performance at a reasonable price. These gems are hard to come by, but luckily you can still grab the Prince Warrior 100L ESP. It’s not the newest racquet, so it’s a good idea to get one while they’re still available. At 9.5oz, this is a pretty light racquet compared to most others on the market. Although lighter racquets don’t quite offer the same level of power as heavier 11-12oz ones, they make it much easier to control the ball which is great for intermediate players. You should have no trouble hitting super-fast returns with this racquet though. The grip is nice and comfortable, and it’s excellent value for money. Overall, if you’re not looking to spend too much, and want a well-rounded racquet, the Prince Warrior 100L ESP is definitely worth checking out. Very balanced – good power, great control. Light & easy to handle. No criticisms considering the price! The HEAD-line 🙂 🙂 of this racquet is the company’s MicroGel technology, which spreads the impact load of a shot around the frame to reduce the impact on your arm and wrist, reducing discomfort while playing. Like the Prince Warrior 100L ESP, this racquet offers a nice balance between spin and power, perfect for the intermediate player looking to improve their all-around game. At 10.4oz or 295 grams, the MicroGel Radical is in the mid-range in terms of weight, making it a great option if you’re looking for a slight increase in power without straining your arm. Well-rounded – good spin and power. Low vibration response on hard hits. Excellent range of grips sizes available. Slightly expensive for an intermediate racquet. Finally, we’ll look at some pro-level racquets designed for advanced tennis players. Used by the likes of Roger Federer, Wilson consistently produce some of the best tennis racquets for serious tennis players. The Hyper Hammer is one such product designed for aspiring or current professionals, as its oversized head is engineered specifically to maximize shot power. Complementing this, an open string configuration allows better control of the spin imparted on the ball. At 27.5 inches the racquet has more reach than similar products, making it an ideal tool for advanced players who are comfortable with a slightly heavier racquet. What’s more, the Hyper Hammer comes pre-strung, meaning you can try it out immediately, and the price is incredibly reasonable considering the shot control the racquet offers. If you’re really into your tennis, it pays to get that edge over your opponent. That’s why Babolat’s precision-engineered racquet is a great choice for serious players. Above all else, this racquet is designed for power. The sweet spot has a tighter string tension than the rest of the racquet, and the frame thickness is customized specifically to improve hit speed while allowing the player to retain control of their shot. It offers an excellent feel for the ball, enabling you to place your shots more accurately too. The drawback to this racquet is that it isn’t incredibly durable. It can break quite easily if it slips from your hand and hits a hard surface. However, its durability is much improved from the 2015 model, which had a frame which was more prone to cracking/chipping. Great control for placement & spin. If you need something a little bit tougher, the Babolat Pure Aero 2018 is a fantastic pick. Endorsed by Rafael Nadal, this is essentially the best all-around racquet in Babolat’s range. Apart from the price, there aren’t really any downsides to it. For starters, it offers really exceptional spin with the right strings, allowing for top-notch precision. But if you’re looking to blast the ball at the back of the court, this racquet is up to the task – and it won’t jar your elbow even if you absolutely smash your return. You don’t have to be a future Wimbledon winner to enjoy what this racquet has to offer. If you’ve got the money to spend, it’s fantastic for beginners and intermediate players too. Plus, since it comes pre-strung, you can get up and running right away. Incredibly well-rounded – power, control and spin are all top notch. Won’t hurt your elbow even if you absolutely smash the ball. Now we’ll look at 3 of the best tennis racquets for younger children. 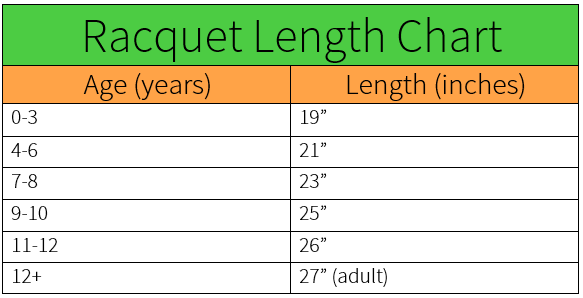 Remember: weight is key, and it’s important to look at a sizing guide to determine what length of racquet to buy. The best tennis racquets for kids offer exceptional maneuverability and are very light to allow children to use the racquet to the best of their ability. Typically junior racquets also feature a large head size to ensure that the ball can be hit more consistently. The Wilson Junior Burn meets all these criteria, while also providing a head heavy string balance to make the racquet more stable in-swing. Plus, it has Wilson’s spin effect technology, allowing the younger player to move onto more advanced shots having mastered the basics of hitting the ball. The racquet also comes pre-strung with a cover to enhance its durability. Good control and feel in-swing. Looking for something a bit cheaper for your child? The HEAD Instinct 21 is the leader in junior tennis racquets in terms of value for money. Like Wilson’s offering, it has an oversize 107-inch head and is very light, at 6.3 ounces. This racquet is most appropriate for kids aged 4-9, since it’s so incredibly light. It also has a very small (3 5/8″) grip, which is super-easy for young hands to handle. No advanced features like spin control technology. Is your kid the next Rafael Nadal? No problem! Babolat makes a junior version of the Pure Drive, giving youth players the technology available in adult racquets. Featuring an aluminum/graphite composite frame, the Pure Drive weighs only 8.5oz or 241 grams, making it a perfect implement for juniors to perfect their technique. The racquet also uses Babolet’s “Smartgrip” technology, which enhances grip comfort and feel when striking the ball. Although the face is smaller than the Wilson and HEAD junior options, this allows more serious junior players to get used to the head size of adult racquets before they graduate to using a bigger hitter. 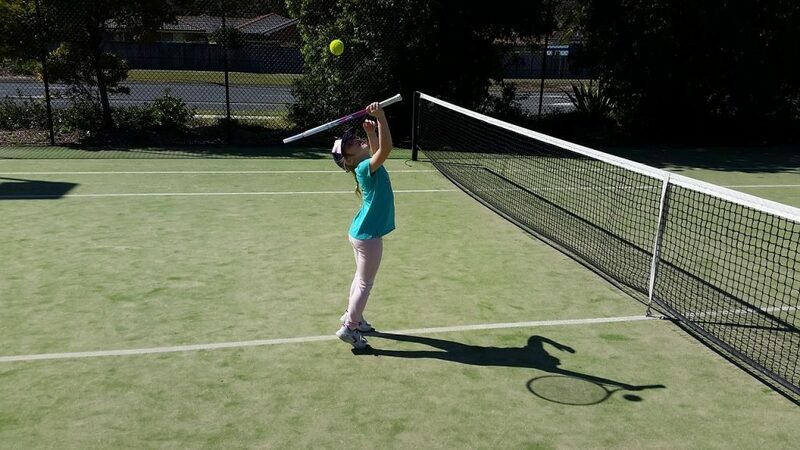 At 25″ long, this racquet is perfect for 9-10 year olds. Need something for a younger player? Check out the 23″ version. Excellent build quality & durability. Not sure whether to buy a more expensive model, or go for a cheaper option? In our experience, the best tennis racquets are worth the extra price. Not only do they improve your performance on the court, they are also more durable, meaning they can be repurposed when you upgrade. For example, we hit balls for our dog with an old Spalding tennis racquet that still has a nice pop on it. Hopefully you found this guide useful! Please let us know how we can improve in the comments below.